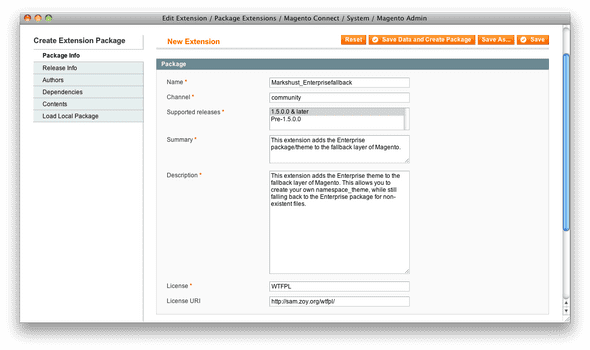 While packaging a Magento extension is very easy, the 1.5 documentation is an epic failure. 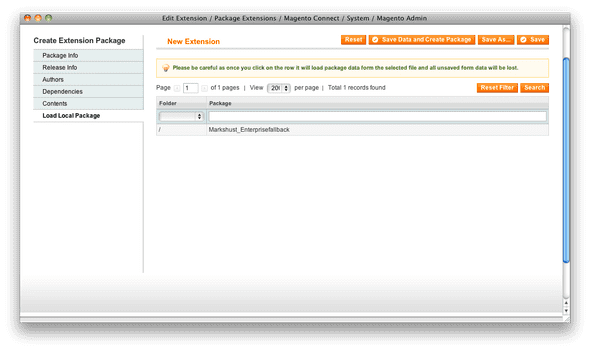 It is very poorly written, and doesn’t show you exactly what to do, what the dropdowns actually mean, or even what to do after you package the extension. There are other documentation pages, but they are bloated and confusing. Hopefully I can clear up some of the confusion that is out there and write up some better documentation. 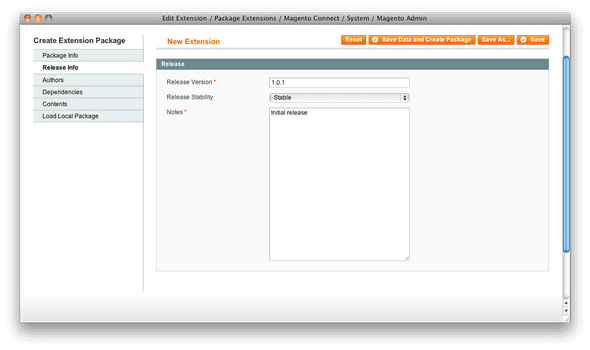 I will show you an example of packaging my Enterprise Fallback module. 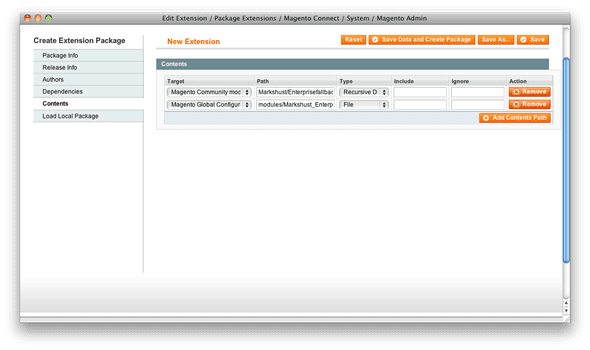 First, go to System > Magento Connect > Package Extensions. 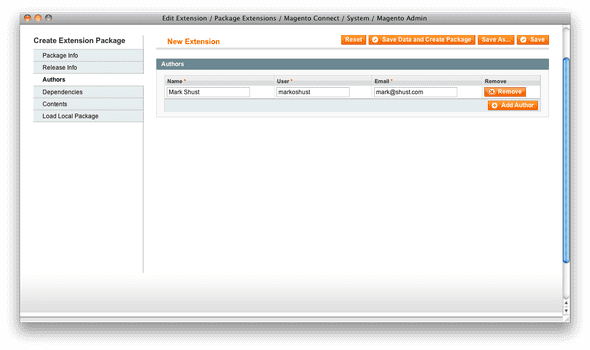 This section loads a package that has been previously saved/created with this process. 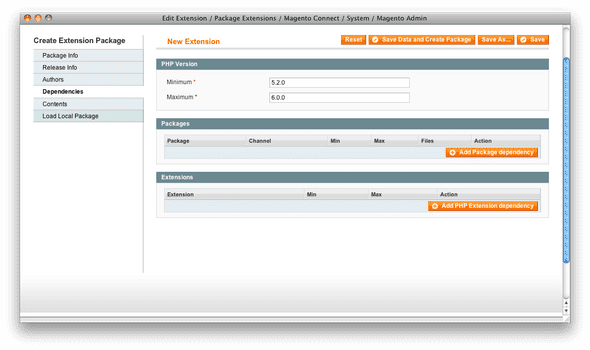 Your resulting package is saved as a tgz file in the var/connect folder. Hopefully this clears up some confusion for you!